Eden Landscapes are a growing garden landscaping company based in the North East of England. 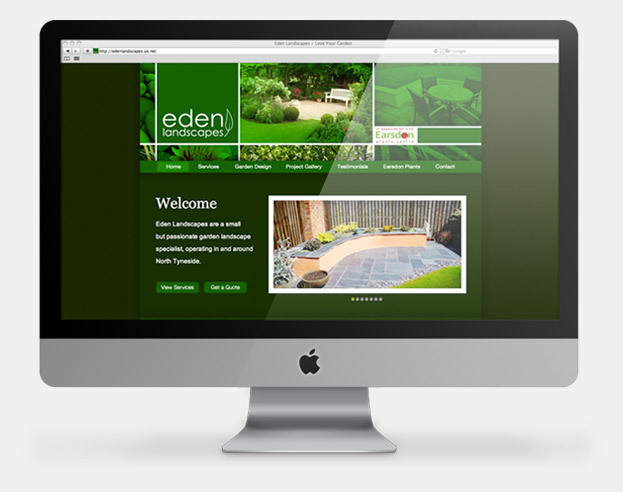 The brief was to create a professional website for prospective clients to view recent projects, gather additional information and to make bookings with Eden Landscapes. The only necessities were to keep Eden's white logo and for the colour palette to include their green colour. The design I created featured a colour palette ranging from light to dark green, and a clean, considered layout for a friendly and approachable feel. All of the pages have a consistant structure to provide the visitors with an easy to navigate platform to access the information that they need. The pages include a Home/Intro page to outline what Eden do. A services page so with a more in-depth account of what they do. Garden Design page to showcase the initial sketches and process. A Project Gallery page to provide the visitor with strong images to sell the quality of the service. A Testimonials page to assure the visitor of their past projects. 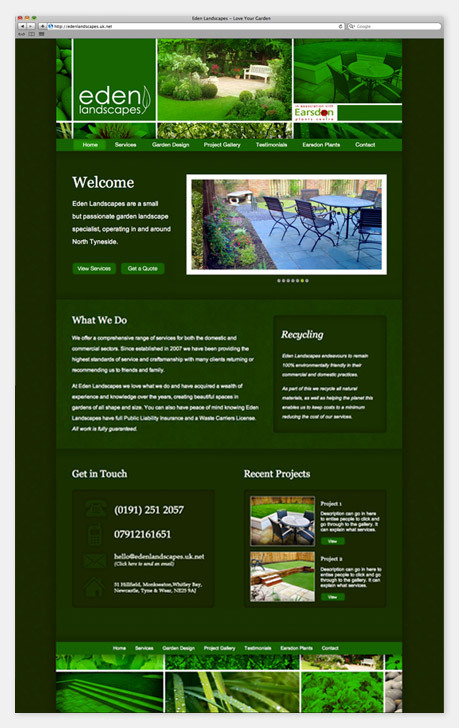 A page for an association garden centre to show their local connections and finally a contact page to make it as easy as possible to get in touch with the company.The site has had some great feedback and Eden Landscapes continue to share their most up to date work through the online gallery.